You must add 50 as a minimum quantity to buy this product. Sturdy laptop bag (for screens up to 15.4" size) made from 600x600d polyester. 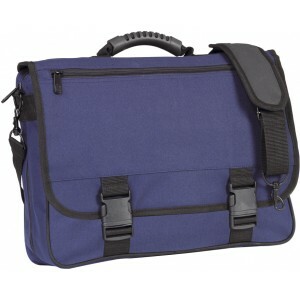 C/w zipped, extendable main compartment, organiser section, curved rubberized handle, metal accessories, and a shoulder strap. Copyright © 2015 Cheap Promotional Bags.